Radiation dosimetry is the measurement, calculation and assessment of the absorbed doses and assigning those doses to individuals. It is the science and practice that attempts to quantitatively relate specific measures made in a radiation field to chemical and/or biological changes that the radiation would produce in a target. Personal dosimetry is a key part of radiation dosimetry. 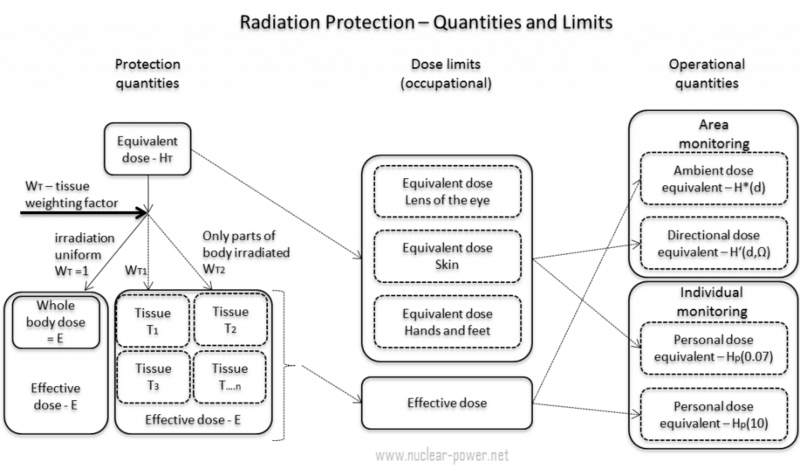 Personal dosimetry is used primarily (but not exclusively) to determine doses to individuals who are exposed to radiation related to their work activities. These doses are usually measured by devices known as dosimeters. Dosimeters usually record a dose, which is the absorbed radiation energy measured in grays (Gy) or the equivalent dose measured in sieverts (Sv). 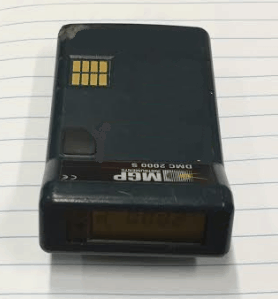 A personal dosimeter is dosimeter, that is worn at the surface of the body by the person being monitored, and it records of the radiation dose received. Personal dosimetry techniques vary and depend partly on whether the source of radiation is outside the body (external) or taken into the body (internal). Personal dosimeters are used to measure external radiation exposures. Internal exposures are typically monitored by measuring the presence of nuclear substances in the body, or by measuring nuclear substances excreted by the body. The personal dosimeters in use today are not absolute instruments, but reference instruments. That means , they must be periodically calibrated. When a reference dosimeter is calibrated, a calibration factor can be determined. This calibration factor relates the exposure quantity to the reported dose. Validity of the calibration is demonstrated by maintaining traceability of the source used to calibrate the dosimeter. The traceability is achieved by comparison of the source with a “primary standard” at a reference calibration centre. In monitoring of individuals, the values of these operational quantities are taken as a sufficiently precise assessment of effective dose and skin dose, respectively, in particular, if their values are below the protection limits. EPDs are battery powered and most use either a small Geiger-Mueller (GM) tube or a semiconductor in which ionizing radiation releases charges resulting in measurable electric current. Medical dosimetry is the calculation of absorbed dose and optimization of dose delivery in medical examinations and treatments. In general, radiation exposures from medical diagnostic examinations are low (especially in diagnostic uses). Doses may be also high (only for therapeutic uses), but in each case, they must be always justified by the benefits of accurate diagnosis of possible disease conditions or by benefits of accurate treatment. These doses include contributions from medical and dental diagnostic radiology (diagnostic X-rays), clinical nuclear medicine and radiation therapy. Medical dosimetry is often performed by a professional health physicist with specialized training in that field. In order to plan the delivery of radiation therapy, the radiation produced by the sources is usually characterized with percentage depth dose curves and dose profiles measured by a medical physicist. The medical use of ionizing radiation remains a rapidly changing field. In any case, usefulness of ionizing radiation must be balanced with its hazards. Nowadays a compromise was found and most of uses of radiation are optimized. Today it is almost unbelievable that x-rays was, at one time, used to find the right pair of shoes (i.e. shoe-fitting fluoroscopy). Measurements made in recent years indicate that the doses to the feet were in the range 0.07 – 0.14 Gy for a 20 second exposure. This practice was halted when the risks of ionizing radiation were better understood. Environmental dosimetry is used where it is likely that the environment will generate a significant radiation dose. As was written, radiation is all around us. In, around, and above the world we live in. It is a natural energy force that surrounds us. It is a part of our natural world that has been here since the birth of our planet. All living creatures, from the beginning of time, have been, and are still being, exposed to ionizing radiation. Ionizing radiation is generated through nuclear reactions, nuclear decay, by very high temperature, or via acceleration of charged particles in electromagnetic fields. Natural Background Radiation. Natural background radiation includes radiation produced by the Sun, lightnings, primordial radioisotopes or supernova explosions etc. Man-Made Sources of Radiation. 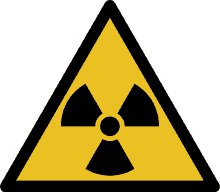 Man-made sources include medical uses of radiation, residues from nuclear tests, industrial uses of radiation etc. An example of environment dosimetry is radon monitoring. Radon is a radioactive gas generated by the decay of uranium, which is present in varying amounts in the earth’s crust. It is important to note that radon is a noble gas, whereas all its decay products are metals. The main mechanism for the entry of radon into the atmosphere is diffusion through the soil. Certain geographic areas, due to the underlying geology, continually generate radon which permeates its way to the earth’s surface. In some cases the dose can be significant in buildings where the gas can accumulate. Locations with higher radon background are well mapped in each country. In the open air, it ranges from 1 to 100 Bq/m3, even less (0.1 Bq/m3) above the ocean. In caves or aerated mines, or ill-aerated houses, its concentration climbs to 20–2,000 Bq/m3. In the outdoor atmosphere, there is also some advection caused by wind and changes in barometric pressure. A number of specialised dosimetry techniques are used to evaluate the dose that a building’s occupants may receive.